Refer and Receive a $25 Visa Gift Card! There’s never been a better time to spread the word about Think Protection! If you refer a new customer to Think Protection between Jan 1st and April 30th, 2018, you’ll receive a $25 Gift Card! There’s no limit to the number of people you can refer. Plus not only will you receive your $25 Gift Card, they’ll also get $25 off their purchase! Start referring Think Protection today! Refer as many friends as possible – the more friends that sign up, the more gift cards you’ll receive! 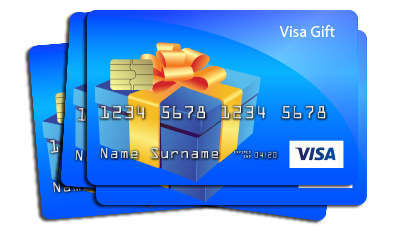 For each referral, the existing customer who makes the referral (the “Customer”) will receive a free $25 Visa Gift Card. The new customer referred to Think Protection (the “Friend”) will, in turn, receive a $25 discount on any alarm package. Referral reward becomes payable only after the Friend activates a new account with Think Protection, and completes the 30-day risk-free trial. Friend must not be an existing Think Protection customer at the time of the referral. To be eligible for a referral reward, Customer must submit the referral by providing Friend’s name and contact information at the following website: https://www.thinkprotection.com/refer-a-friend/. Think Protection employees and their family members are not eligible to participate in the referral rewards program. Think Protection reserves the right to modify or discontinue the referral rewards program at any time without notice.